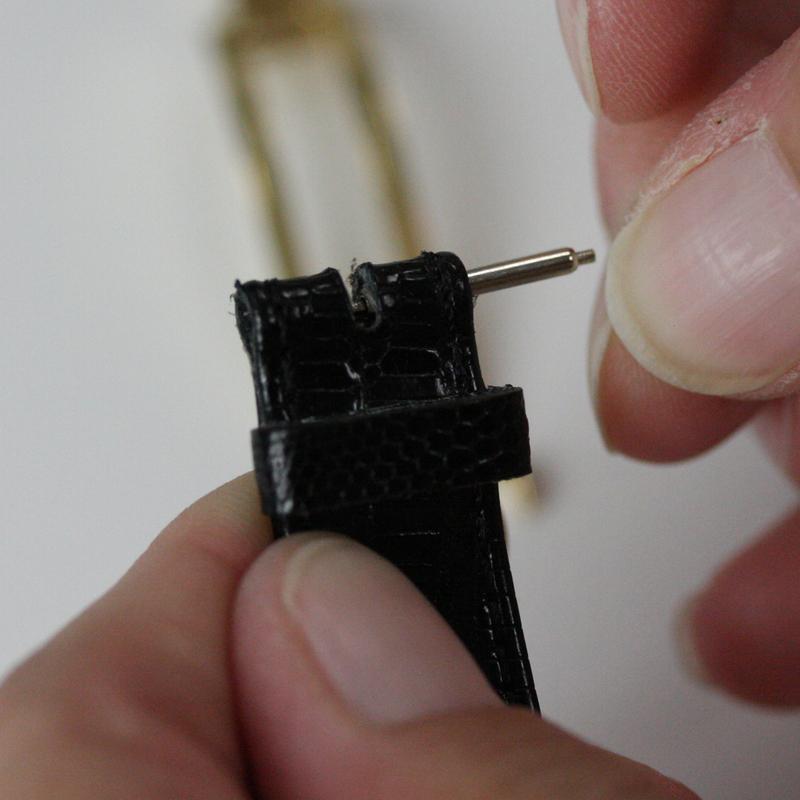 How do you know if your leather watch band has a deployment style watch clasp? 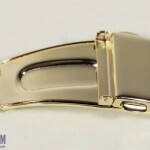 When the clasp is closed it will look like a standard leather buckle, only it will be missing the tongue portion of the clasp. 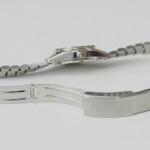 And when you open it, the clasp will have a metal portion that folds over on itself much like a fold over or tri-fold clasp does, except it will only permanently attach to one side of the band. 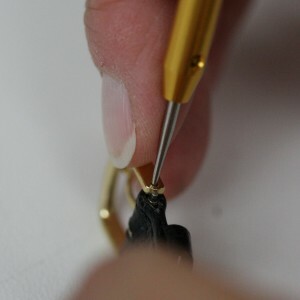 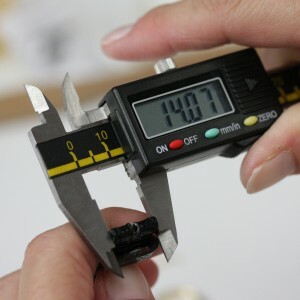 Next, take the free end of your watch band where the clasp attached and measure its diameter with your digital gauge to find what size replacement clasp you’ll need. 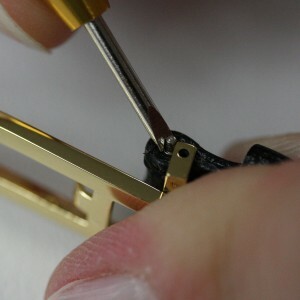 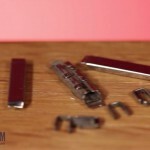 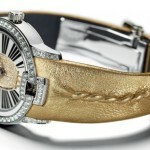 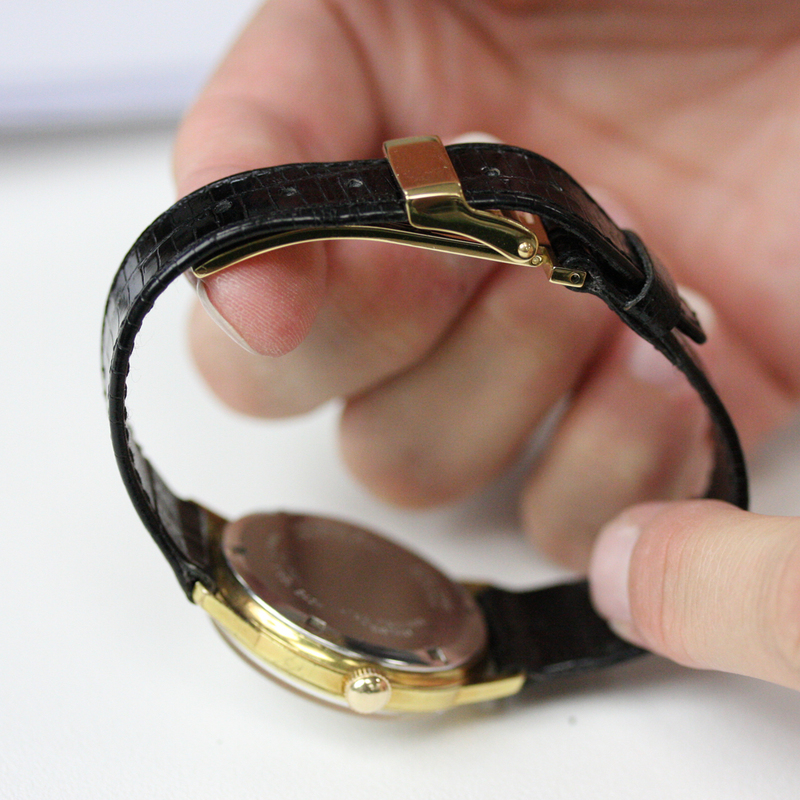 Order the right size and color replacement watch band clasp, once you have this measurement in hand.